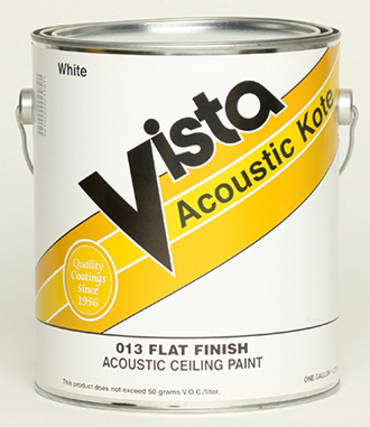 Acoustic Kote is a high-hiding, non-bridging premium plus vinyl flat finish for interior acoustical ceilings. Designed to preserve existing sound deadening qualities. Not recommended for wall surfaces. Recommended Uses: New or previously painted acoustic tile or spray applied acoustic ceilings.